Muhammad Ali died on June 3, 2016 at the age of 74. 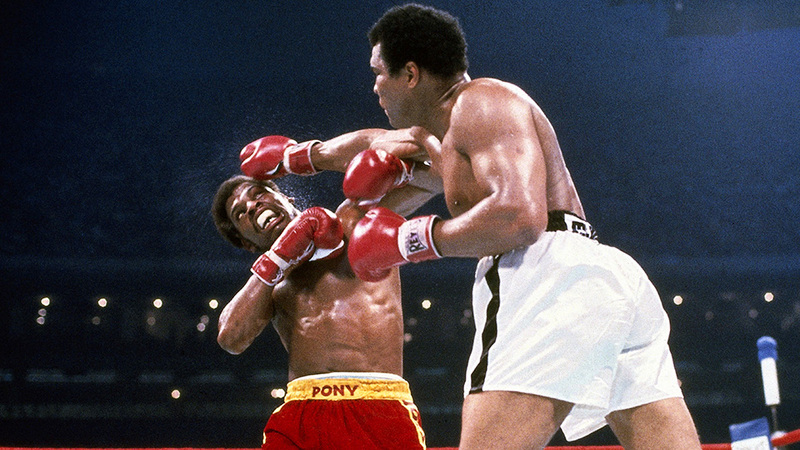 Sports Illustrated takes a look back at the legend's 10 greatest fights. Muhammad Ali died on June 3, 2016 at the age of 74. As the world remembers him and his immeasurable legacy, we take a look back at his ten greatest fights. 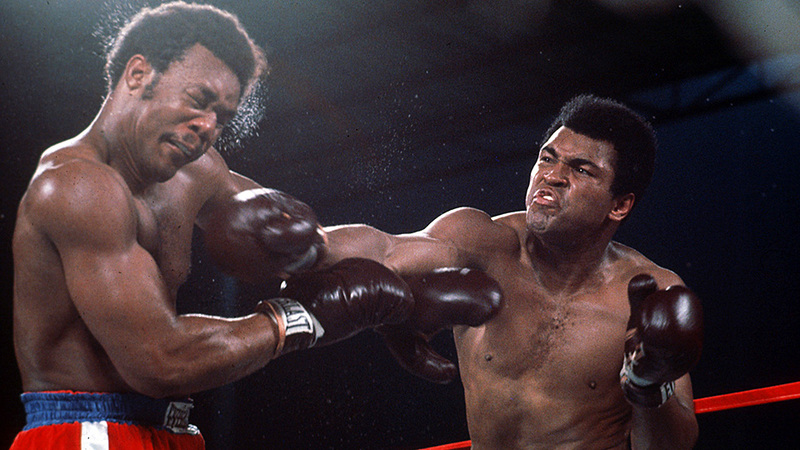 He “shook up the world” against Sonny Liston in 1964. He rumbled in the jungle with the seemingly unstoppable George Foreman in 1974. He willed himself on against Joe Frazier in that Thrilla in Manila in 1975. Even as he aged and struggled, he pushed himself forward. Here are some of the greatest moments that The Greatest gave us inside the ring. 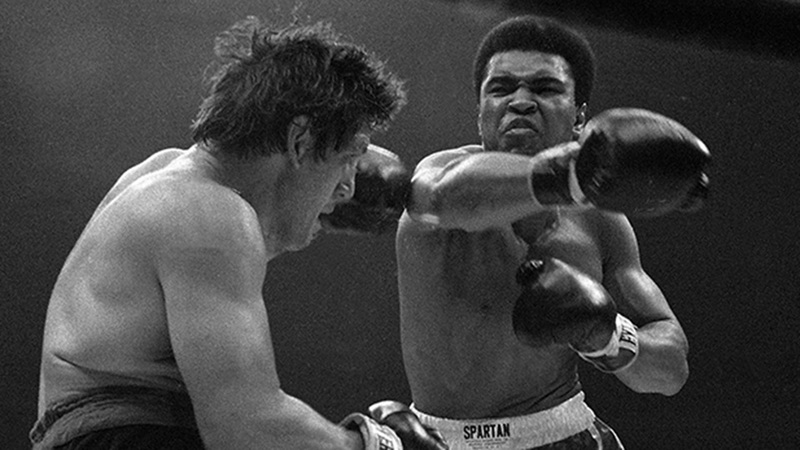 In the second bout of his comeback after having been banished from boxing for three and a half years following his refusal to be inducted into the military, Ali took on rugged Argentine heavyweight Oscar Bonavena at Madison Square Garden. 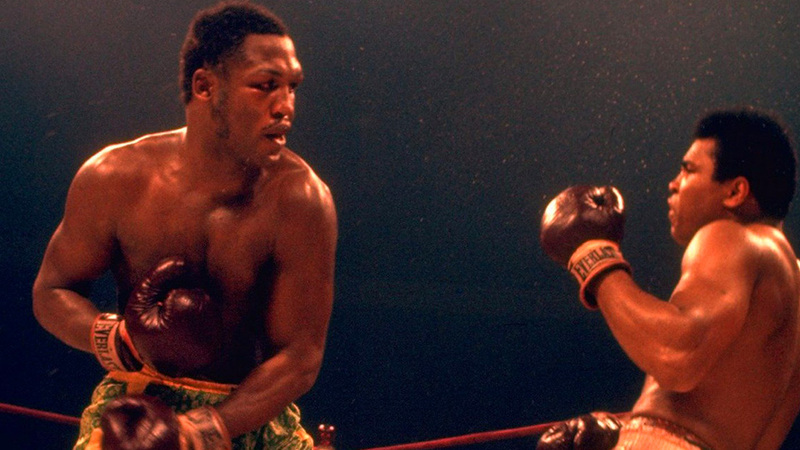 Though Ali won most of the rounds, it was almost impossible to look good against the awkward Bonavena, and the bout seemed likely to end in a lackluster decision. Then suddenly, in the 15th round, came the mot unlikely of Ali finishes. Flashing a seldom-used left hook, he dropped Bonavena three times in rapid succession, forcing a TKO and instantly igniting the demand for an Ali-Joe Frazier showdown sooner rather than later. George Chuvalo, dubbed the Washer Woman by Ali for his stolid workaday approach in the ring, was in fact one of the toughest heavyweights of all time. The Canadian challenger was utterly unafraid of the champion and attacked relentlessly round after round. But Ali was simply far too fast and far too talented. Operating at a level of his own, he coasted to a unanimous 15-round victory. Ali was 35 years old and in decline, with his greatest moments behind him. 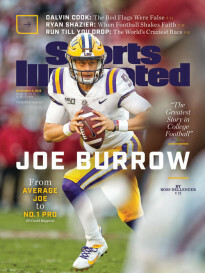 But, against one of the hardest punching heavyweights in history, the old champion showed the depths of the pride and resourcefulness he’d never lose. Hurt badly by Shavers in the second round, Ali rebounded and outboxed Shavers throughout to build a lead on points before Shavers came on again in the later rounds. 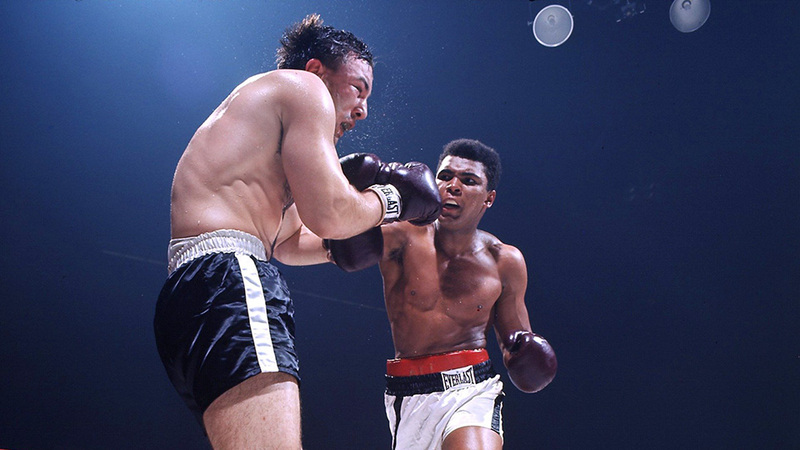 Seemingly exhausted going into the 15th and final round, Ali remained victorious by producing a closing flurry that left Shavers wobbling at the bell and the Garden crowd once again in delirium over his Ali magic. In the next-to-last bout before his exile, Ali returned to the Astrodome, following up his tour de force against Cleveland Williams with a grimmer, less dazzling but no less skillful dismantling of challenger Terrell. Angered by Terrell’s refusal to call him Ali, the champion drew out the beating for the full 15 rounds, punctuating the punishment with calls of “What’s my name?” It was cruel and hard to watch, but it was young Ali in top form. 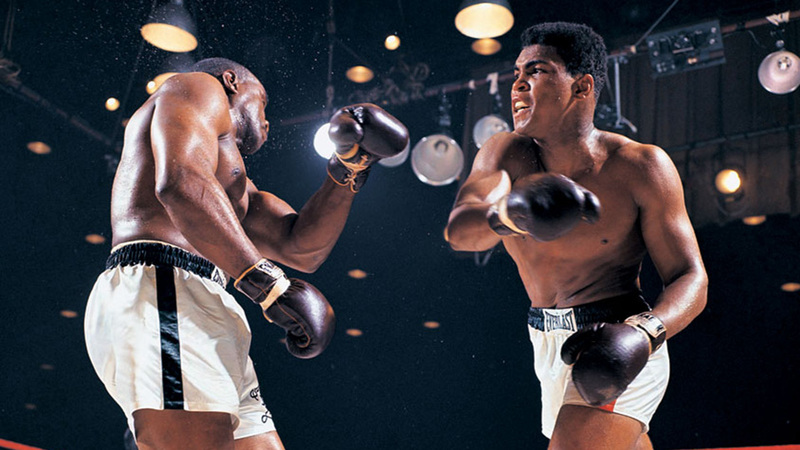 This was the fight in which Ali, in his own words—shouted so memorably from the ring afterward—“shook up the world.” Liston as champion was an almost cartoonish destroyer. Twice he had dispatched former champion Floyd Patterson in the first round. 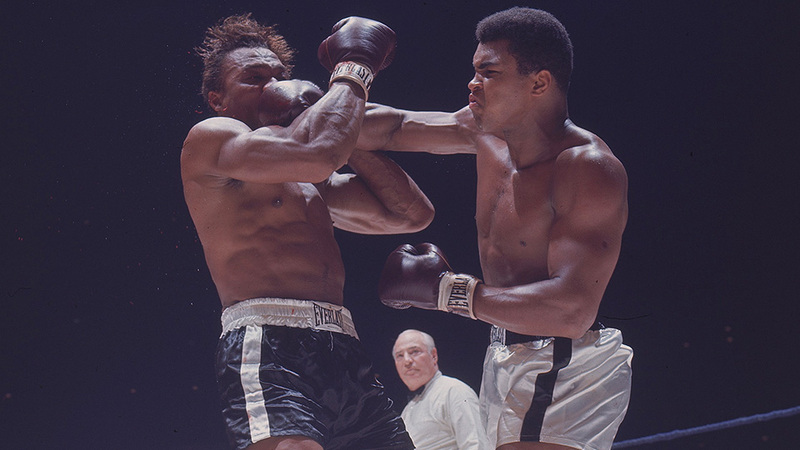 Ali, then known as Cassius Clay, was viewed as a talented but flawed and overmatched young upstart. Liston would put him in his place. But in the ring, Ali suddenly seemed not only faster but also stronger and far more vital than the suddenly aged Liston. Dancing, circling, jabbing, the young challenger befuddled the champion, cutting him and finally forcing him to quit on his stool. The Kid was now The Champ. 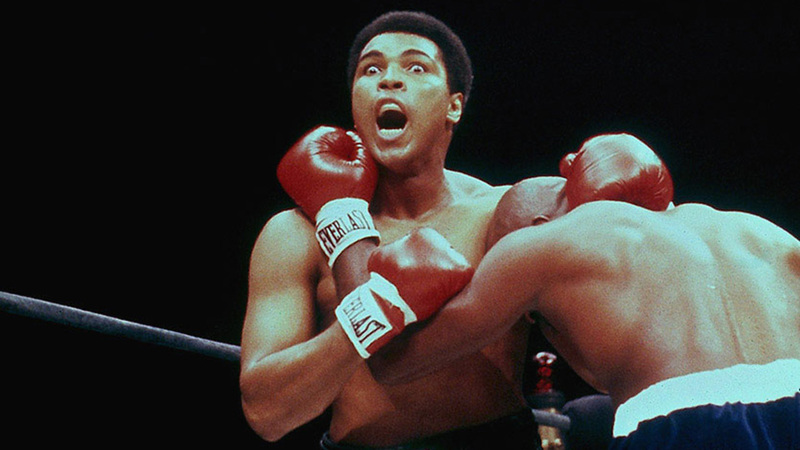 After three and a half years of boxing exile, Ali returned to the ring in October of 1970. Two fights and five months later he faced Joe Frazier at Madison Square Garden in perhaps the most anticipated fight in history. Both men were undefeated. Frazier was at the height of his powers, a relentless wrecking ball. Ali had matured physically during his layoff. Though not as dazzlingly quick as in those years of ’65 through ’67, he now blended a new strength with his inimitable grace. With the world watching, the two fought at a ferocious pace—more suitable for middleweights than for heavyweights—for the full 15 rounds. Showboating, improvising and digging deeper than ever before, Ali hurt Frazier numerous times, but in the end could not slow him down. An iconic left hook in the 15th dropped Ali, and though—astoundingly—he was up again at the count of two, the fight was sealed. Ali had lost for the first time in his career but in the process had risen to even greater heights. Admittedly, Cleveland Williams, at age 33 and still carrying a bullet from a police shooting the year before, was no longer the fearsome puncher who had earned the nickname Big Cat and engaged in two slugfests with a prime Sonny Liston. But it hardly mattered. Williams was simply a large body against whom the young Ali—just 24—could demonstrate his astonishing artistry. That night in the Astrodome, Ali dazzled with speed, grace and cascades of spectacular precision punching to score a third-round TKO. 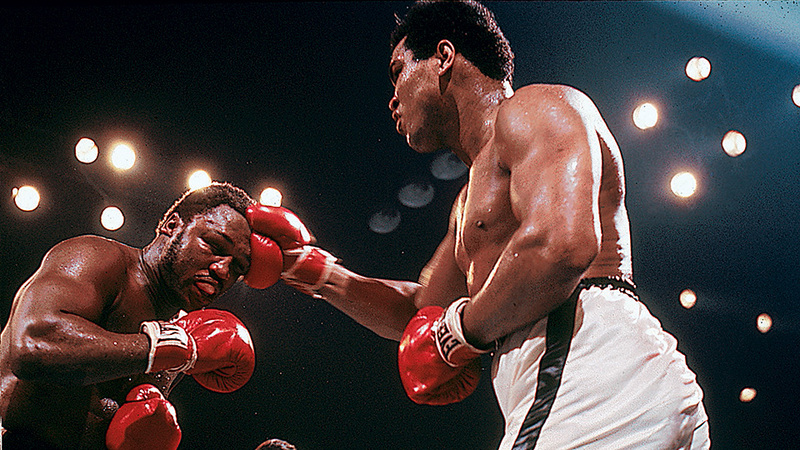 It is hard to imagine any heavyweight in history keeping up with the Ali of that night. Both men were past their primes in this third meeting between these two ultimate rivals. But both were still vital and enormously proud, and together in the brutal heat of Manila they produced one of boxing’s most epic matches. 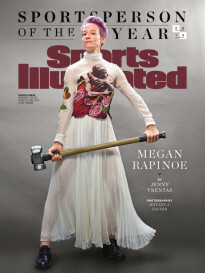 The bout see-sawed back and forth, with both fighters taking and giving tremendous punishment. Ali called the struggle “the closest thing to dying,” yet he willed himself on and in the end prevailed when Frazier’s trainer, Eddie Futch, kept his fighter on his stool at the start of the 15th round, saying, “Sit down, son, no one will forget what you did here today.” Indeed, no one who saw the Thrilla in Manila will forget what either man did. The undefeated Foreman, who had taken the heavyweight championship the previous year with an astounding beat-down of Joe Frazier and followed that shocker up with a two-round dismantling of Ken Norton, seemed an unstoppable force, and there were many who feared for the 32-year-old Ali’s very life against the glowering young champion. But—in the bout forever known as The Rumble in the Jungle—Ali, no longer the lithe young dancing master of his first incarnation, ignored pleas from his corner to stick and move and produced the most resourceful performance of his career, standing in and absorbing Foreman’s power while countering it with a withering offense of his own that sapped Foreman’s strength and will. 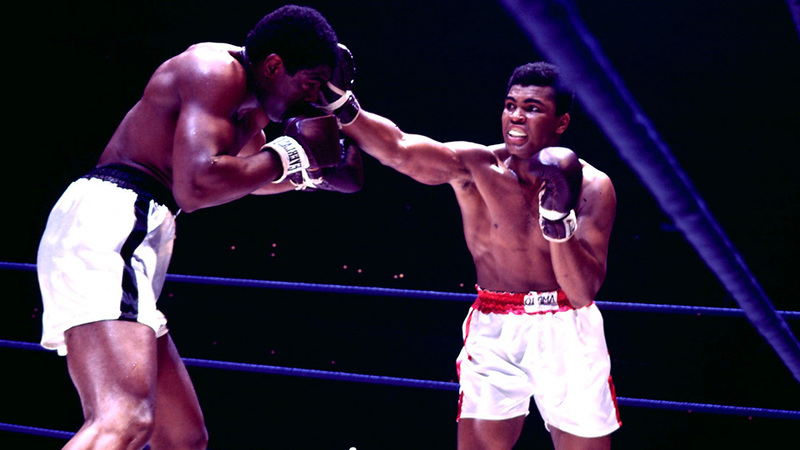 The Rope-a-dope, as Ali dubbed the strategy, toppled Foreman in the eighth round, and Ali became just the second man to regain the heavyweight crown.